Happy national stripes day! 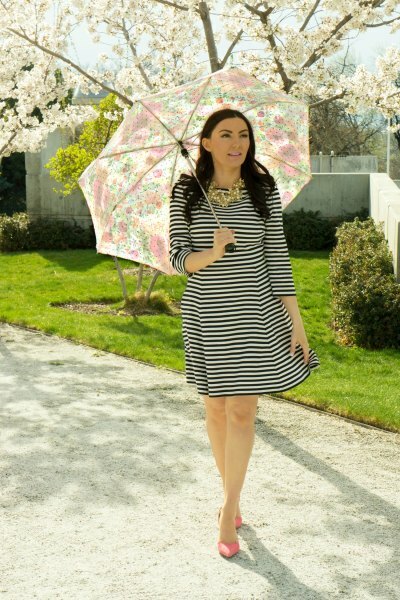 One of my favorite way to wear spring stripes is by pairing them with a colorful, floral print. 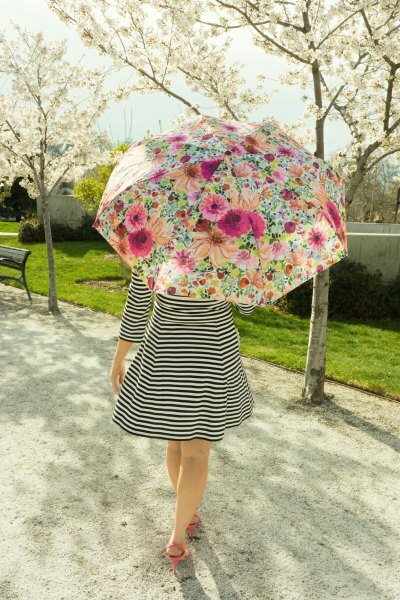 The inside of this darling umbrella has a gold polka dot lining that I just adore! 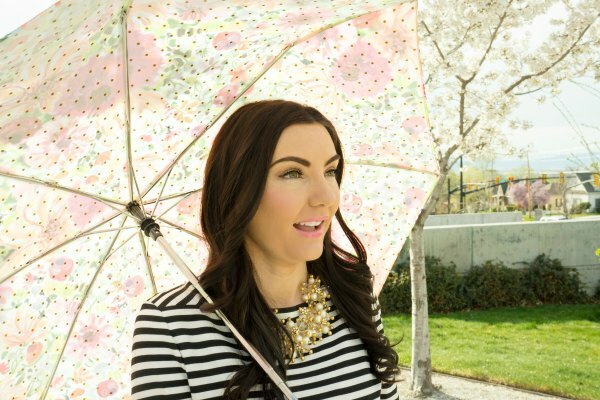 The weather is supposed to be quite rainy this weekend here in Utah so it’s a good thing I bought this outfit. You can definitely look chic and bright in rainy weather, don’t let the clouds get you down! 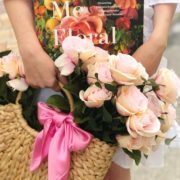 Just remember, April showers bring colorful and cheery flowers! The trees here are even blossoming with fluffy goodness. Oh, don’t forget petrichor: The wonderful smell in the air after it’s been raining! love the outfit!! so cute! stripes are great! Everything about this post is perfection!! 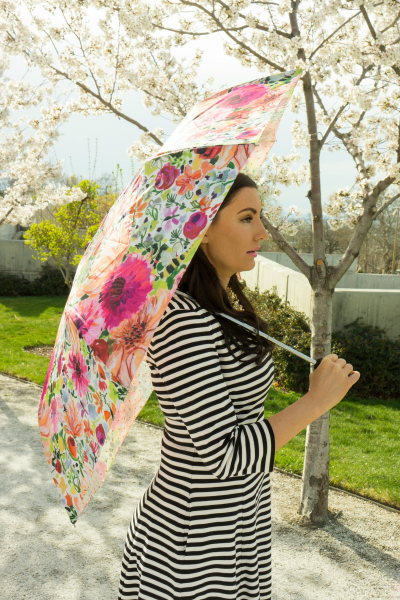 I need that umbrella!! !